This is an adaptation of Kathryn Stockett’s bestselling novel, set in Jackson, Mississippi, during the 1960s. The film follows three different women. The first is Skeeter (Emma Stone), a young woman hired to write a column about housecleaning. She’s also wondering what happened to her maid Constantine, who helped raise her, but has now disappeared. The second is Aibileen (Viola Davis) and Skeeter asks her for advice with her column. She’s a maid for Elizabeth (Ahna O’Reilly) a snobby woman who can barely be bothered looking after her own children. The third woman is Minny (Octavia Spencer) and she finds work as a maid for Celia (Jessica Chastain), who lives out of town. Celia doesn’t want her husband to know that she can’t cook or clean so Minny has to help secretly. Bring these women together is Skeeter’s plan to write about how African American maids are treated by their white employers. She’s upset that one of her friends Hilly (Bryce Dallas Howard) is looking to enforce a rule that will force the ‘help’ to have separate bathrooms from their white employers. But Skeeter finds the maids reluctant to share their experiences because of the dangerous political climate in Jackson. 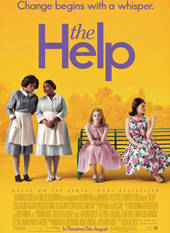 Tate Taylor's second feature film The Help is an absorbing period drama, regardless of whether you have read Kathryn Stockett’s novel. I have read the novel and the essence of the story is retained. It’s a moving story that suggests that change is found in people of all ages, generations and races. It believes in the power of literature to inform people and to change the world. And there are ideas of class and the importance of public perception in this time period too. There are no easy divisions in either the novel or the film. Not all the white’s are selfish or simply racist. They’re willing to alienate their own people too. We see the women’s deliberate exclusion of Celia and also learn that Hilly put her own mother (Sissy Spacek) in a nursing home. But nor are all the African American’s innocent either. They make poor choices too. An ongoing thread is that after Minny was fired she decided to give Hilly a booby trapped cake, which she later regrets. And off camera it’s apparent that Minny is physically abused at home. Though many scenes from the novel have been omitted entirely, it’s a very solid adaptation. The film is beautiful in recreating the period, but never glossy. Despite being nearly two and a half hours long the film doesn’t linger either. It’s well paced and the images resonate with us. One of the most memorable is seeing the ‘help’ walk out of their homes of a morning, dressed in their uniforms. We see Minny giving instructions to her daughter who is now part of the ‘help’. That subtly reminds us that these women weren’t just employed for one lifetime. What’s missing from the film are the darker elements of the novel. In the novel there’s a broader overview of the violent atrocities around Mississippi that’s absent here. It is indeed a compromise but more for business reasons rather than a political agenda. This is a mainstream film that has already flourished at the US box office. If the film was uglier less people might have seen it at all. But then it might have been more honest too. It’s a great example of the dilemmas faced by the studio system. Instead, the fear and anxiety of the period comes through many of the performances. Almost all of the women in this film are superb. Emma Stone is extremely lively and funny as the oddball Skeeter. But she smartly replaces a lot of her flamboyance and sarcasm from Easy A (2010) with a greater sense of vulnerability. Some of her expressions when revelations about her mother are announced are extremely touching. But Viola Davis is the one almost certain to be nominated for Best Actress early next year. She has the bravest face in the film and yet underneath her internal conflict is so visible and moving. Her performance, particularly when she talks about her son, is painfully genuine. Spencer and Howard are charismatic women too. The latter contrasts the fake smiles of parties and charity dinners with ice-cold looks of suspicion perfectly. The only weak link is, I think, Chastain. I was expecting a quieter performance, closer to her excellent work in The Tree of Life (2011). She’s extremely colourful here when her character in the novel is physically deteriorating and spends a lot of time alone in her room. Granted, that would be a lot harder to film onscreen. 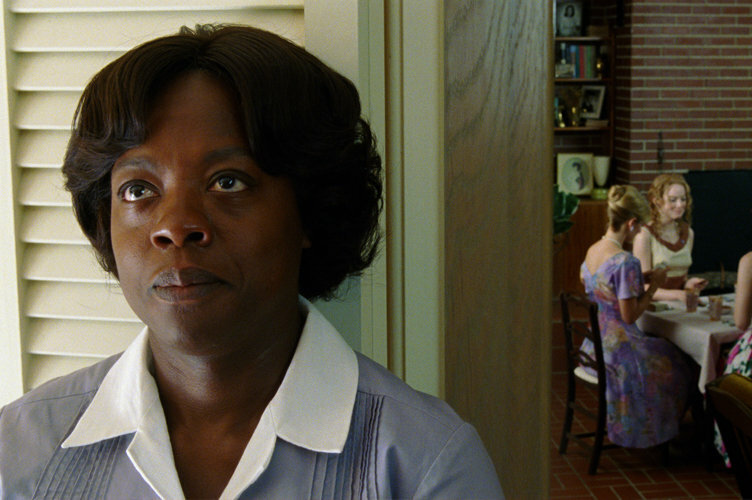 The film might not have the grit of an independent picture like Precious (2009) but several of the performances make The Help an endearing look at a dark chapter in American history.